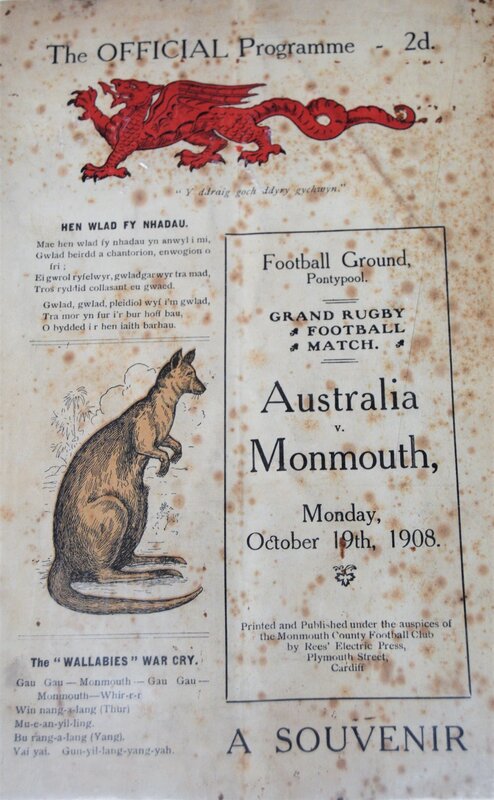 1908 Australian Wallabies v Monmouthshire Rugby Programme for 'Game that never was': to be played at Ponytpool - this several-times postponed game from the First Wallabies' Tour to the UK was never played, the weather always intervening: adding to the rarity and collectability of the issue. 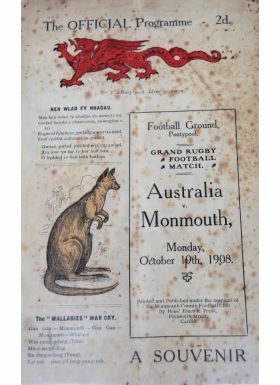 This has a wholly closed sharp- bladed cut to the front cover, invisible unless bent, and quite heavy foxing, but is entire and wholly legible, with rusted staple and a central fold. One to be seen. F/G o/wise.